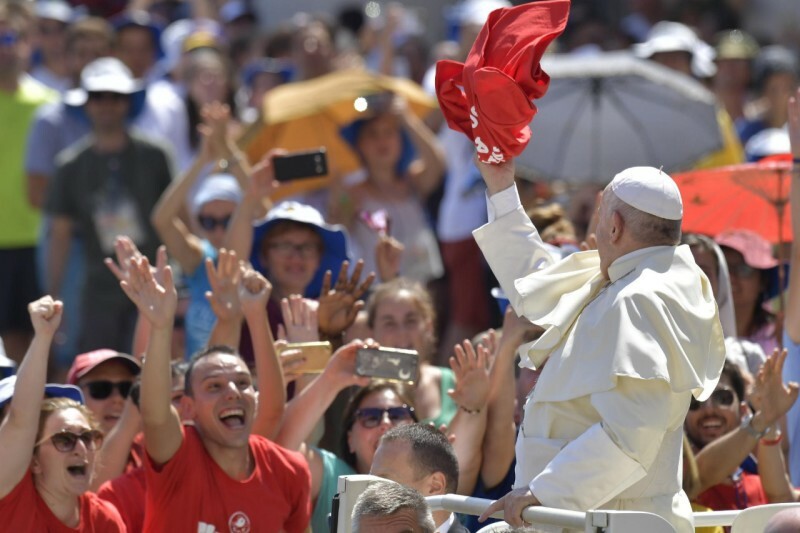 Pope Francis presided over an especially large and youth crowd estimated at 90,000 to pray the noonday Angelus on August 12, 2018. The crowd included some 70,000 youth people from various dioceses of Italy, in Rome for weekend encounters with the Pope. The events culminate a weeklong walking pilgrimage that some 40,000 young people began on August 3 through the territories of their dioceses, called “Per Mille Strade”, the Italian for “Across Thousand Roads”. The Pope joined the groud the evening of August 11, 2018, in Rome’s Circus Maximus. The gathering included questions from the young people, answers from the Holy Father, and musical entertainment.